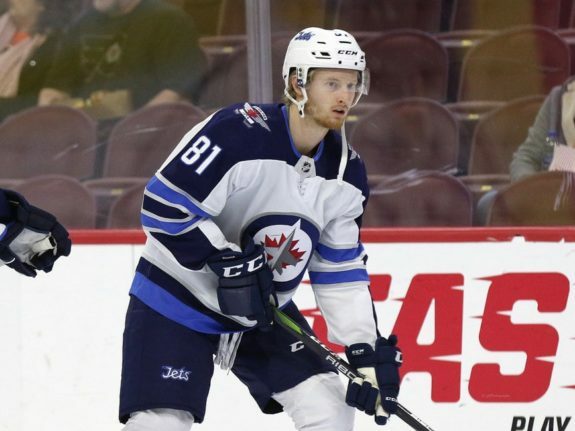 Winnipeg Jets head coach Paul Maurice put Kyle Connor and Patrik Laine together to try to ignite the Finnish superstar. Whether he expected him to catch fire to quite this degree is anyone’s guess. After Laine’s historic month of November, it’s safe to say the two young guns have found some chemistry. A quick examination of their play styles shows this makes perfect sense. In this instance, Maurice’s much-maligned line blender hit exactly the right combo. Connor’s speed and tenacity on the forecheck that worked so well with Blake Wheeler and Mark Scheifele seems to suit Laine just as well, if not better. 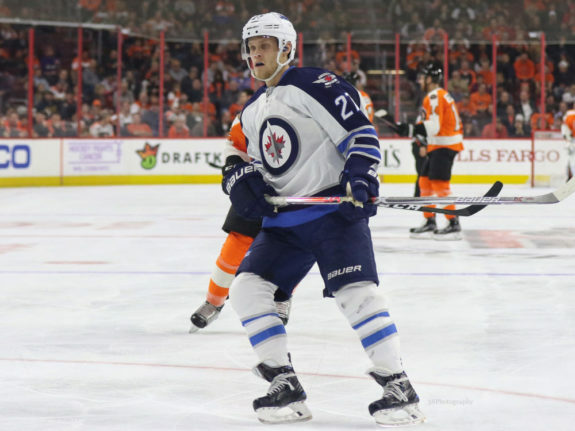 In the game against the New York Islanders, a shorthanded Jets squad put Connor back with Wheeler and Scheifele where he found so much success in his rookie year. His November proves he’s ideally suited to playing with Laine, however. Any team that’s ever had a superstar can attest to just how difficult it can be to find the right player to play with them. At the start of the year, the Jets were struggling to find a match for Laine. Now they’ve found one, and they should let Connor run with it. So what makes Connor just the right man for this job? It’s not as if Laine’s been playing with unskilled players before, after all. Quantifying or even explaining player chemistry can be difficult, but there are some reasons that jump out. Laine’s other most common linemate in his young career has been good buddy Nikolaj Ehlers. Ehlers seems to have all the tools to play with the top-tier sniper. The speed, the vision, the ability to shoot when Laine can’t, it’s all there for the dashing Dane. On the surface, Connor is a very similar player. He’s not quite as electrifying as Ehlers with the puck, but he has all the other skills. He has one attribute Ehlers doesn’t, however, and that’s an ability to play below the circles. As it happens, this ability is exactly what the doctor ordered for Laine. Examine for a moment the goals Ehlers scored in his hat trick against Chicago on Nov. 29. They all have something in common. Ehlers’ goals in that game all came off the rush. Quick-strike offense is Ehlers’s game in a nutshell – flip through his increasingly extensive highlight reel and you’ll see more of the same. Now, this is not to say Laine can’t score off the rush. You could spend days finding all the examples of offense he’s created that way. But Laine’s best work comes when he drifts into areas where he’s hard to spot and then unleashes his blistering shot. Take a close look at Laine’s five goals against St. Louis. Of course, you’ll see Connor assists on four out of five of them, but you’ll also notice that four out of five come after good cycle work down low, or working the puck around the offensive zone. This is where Connor separates himself from Ehlers. Connor learned to play in the dirty areas last year with Scheifele and Wheeler, and he’s apparently not lost that habit. His size (6-foot-1 and just over 180 pounds) isn’t power-forward material, but it does suit this style better than Ehlers. Scroll through Laine’s impressive goal resume and you’ll see plenty of work off the cycle. Connor can work with this. He can score off the rush too, but his best work is done in the trenches. In fact, much of his offense in his rookie year came within about a stick length of the blue paint. This is to say nothing of the Jets stellar work on the power play that Connor has contributed to with five power-play points already this year. Connor appears to be connecting with Laine in a way Ehlers hasn’t been of late. A lot of people wrote off Connor’s excellent rookie season as a function of playing with Scheifele and Wheeler. Those same people are now realizing Connor is a driving force rather than a passenger. For whatever reason, Ehlers is less a driving force than an ingredient in the mixture. He’s a perimeter scorer, who’s not likely to do his work in the area close to the crease. Which is fine, since Ehlers will score 30 goals in his career at multiple points. Laine seems to need more of a down-low player, however. The list of players capable of grinding it out below the circles and still having the hands and vision to find Laine in his office is short. Connor is unquestionably on it. Led as it is by young players, that line will falter from time to time. There’s still no guarantee Bryan Little is the right fit with Laine either, but he too has been obviously more effective with Connor than with Ehlers. Maurice has shown he’s not afraid to shake things up when the goals aren’t coming, and that means this line may go in and out of favor with him. Nonetheless, when it’s rolling, this line is better together than Ehlers-Little-Laine ever were. There’s no such thing as a perfect line. All you can do is find the line that works best at the given moment. Right now, Connor is what’s best for Laine. Just ask the St. Louis Blues.